The Amazing Race host Phil Keoghan is expecting big things from the 11 teams who will be competing on Season 31 despite critics and skeptics. The Amazing Race "Reality Clash" theme for Season 31 -- which will feature Racers from previous Survivor, Big Brother and The Amazing Race editions -- has received a polarizing reaction from viewers, some of whom aren't looking forward to seeing all of the different CBS reality shows coming together. "Be patient and give this a chance," Keoghan told Parade magazine. "You may be surprised. While these people have been on Big Brother and Survivor, they have not been on Amazing Race. They are, in essence, fresh." Keoghan suggested the reality TV stars, although comfortable in front of cameras, will be "shocked" and unrehearsed when they begin the race around the world for $1 million. "They're in the real world dealing with real-life problems. They are going to be traveling distances they can never imagine. It's a whole other dynamic," Keoghan insisted. Keoghan also teased the 11 teams will at least make for some great television. "When you bring in people who are new to television, you're rolling the dice," Keoghan explained to Parade. "There are always people who exceed expectations and people who disappoint because you don't know how they'll respond to sleep deprivation, long hours and competition. You're taking more of a risk." Keoghan said, however, there is "no risk" involved with an entire cast familiar with filming and competing on a reality series. "These are all tried-and-true people who have previously delivered. They are distinct, savvy competitors. It's another layer," Keoghan noted. Season 31 of The Amazing Race will kick off more than a month earlier than initially scheduled. 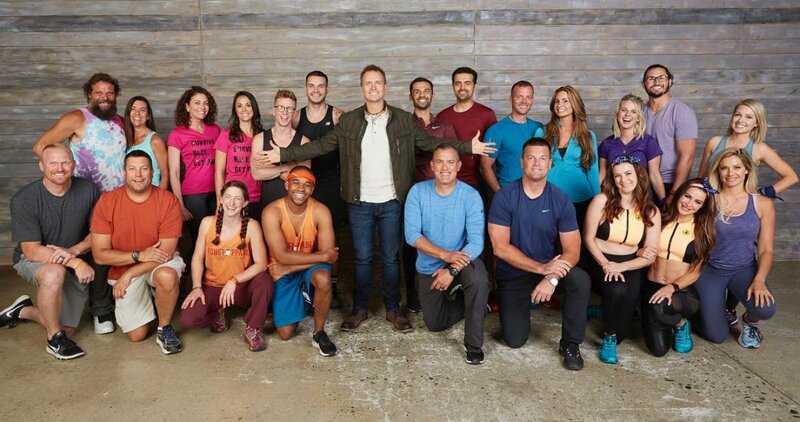 CBS announced earlier this month The Amazing Race's "Reality Clash" season will premiere with a one-hour episode on Wednesday, April 17 at 9PM ET/PT, although the network had previously set the show's debut for May 22. While this is the first time viewers will see this "reality clash" twist, Keoghan revealed the format has actually been in the works for a while now. "It's been an idea that's been thrown out by fans for a long time," the longtime host of the show told Parade. "There's been a lot of chitter-chatter among the various franchises which show is the toughest, and what would happen if you put some of the toughest players from those franchises in competition against each other." The 11 teams will be tasked with completing a series of challenges -- some mental and some physical -- as they retrieve clues and race around the world to different destinations. Teams who are farthest behind will gradually be eliminated as the competition progresses, with the first team to arrive at the final destination winning $1 million.